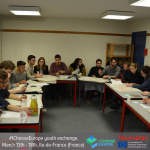 JEF Belgium takes part in the campaign “I Choose Europe”, which is co-funded by the Erasmus+ programme of the European Union and coordinated by Young European Federalists (JEF Europe) together with 10 further national JEF sections and several other civil society organisations: Animafac, Assembly of European Regions, Balkans Beyond Borders, Center for Intercultural Dialogue, DYPALL Network, Europe4Youth, European Educational Exchanges – Youth for Understanding, and the Union of European Federalists. 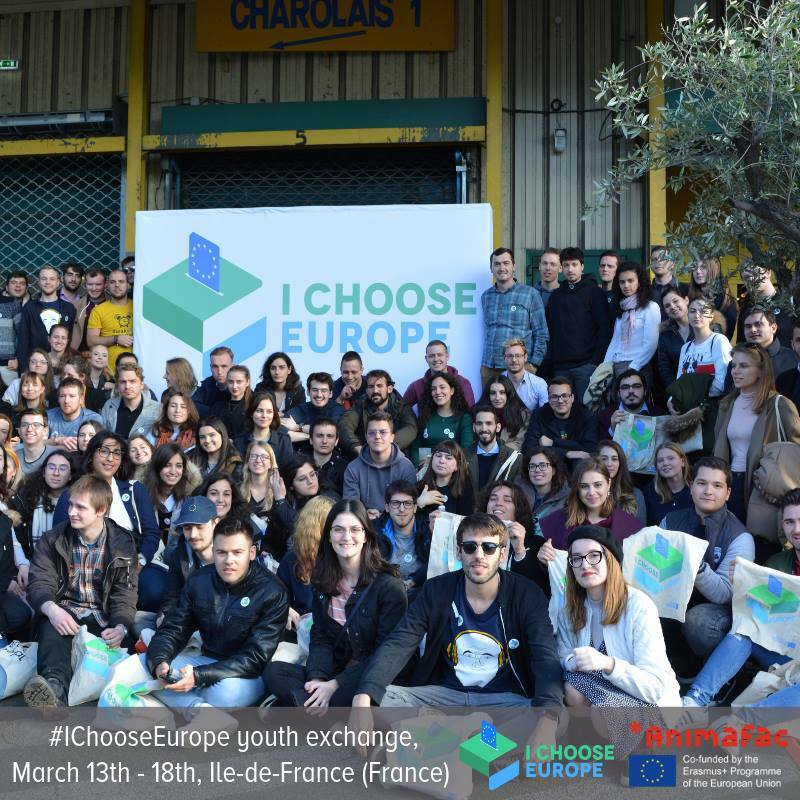 Our goal is to strengthen young people’s public participation before and after the European Elections 2019 and encourage them to vote. 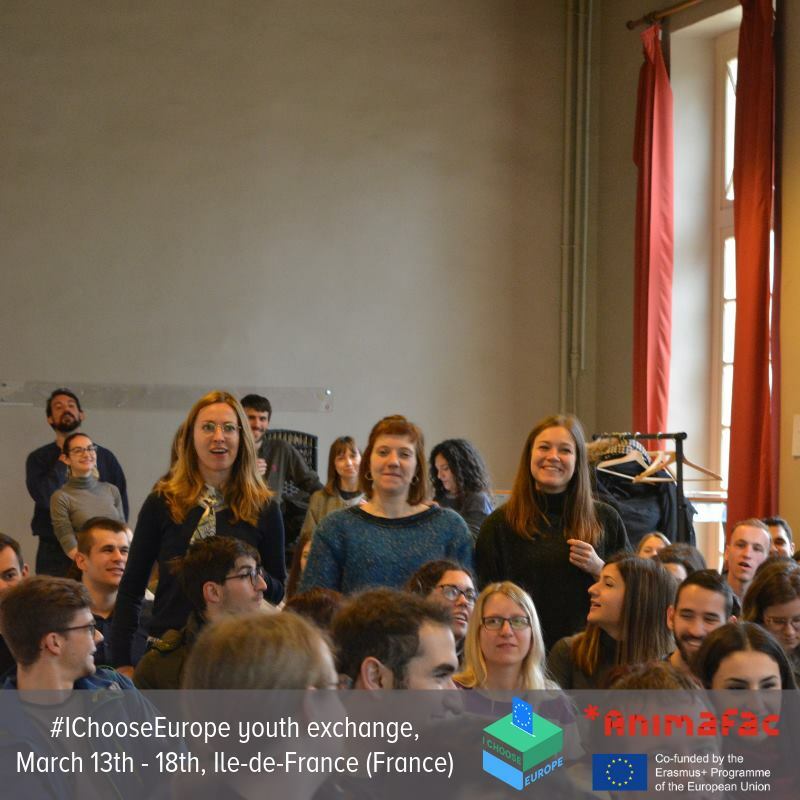 By achieving this, we want to send a strong message to decision-makers and the public that the European youth is not just a passive audience, but a growing social and political force. 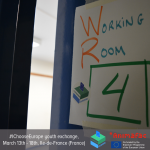 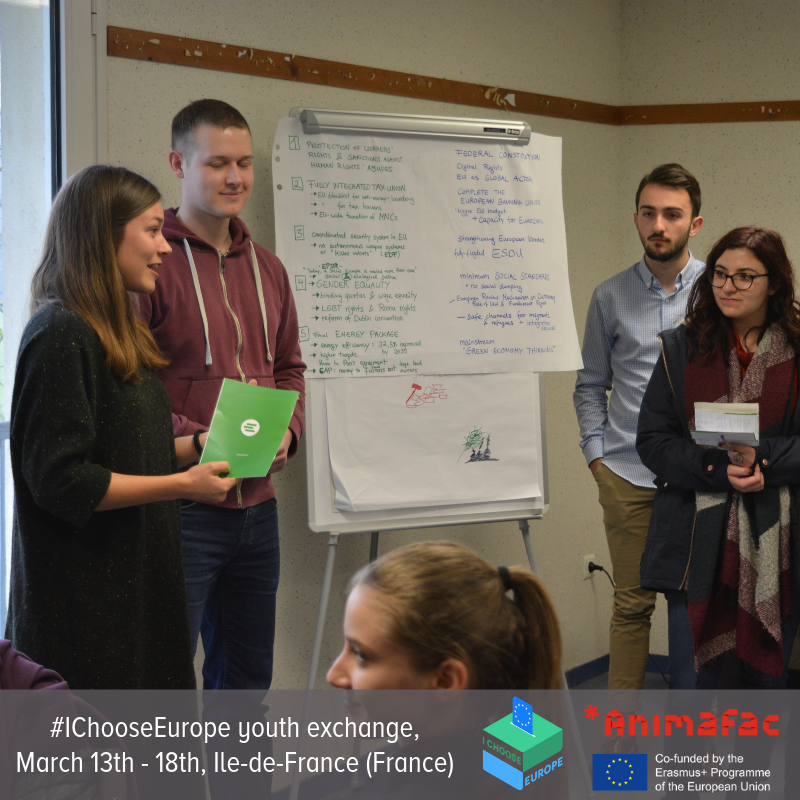 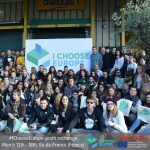 Together with more than 120 participants from all over Europe took part to the first large scale youth exchange of the #IChooseEurope campaign. 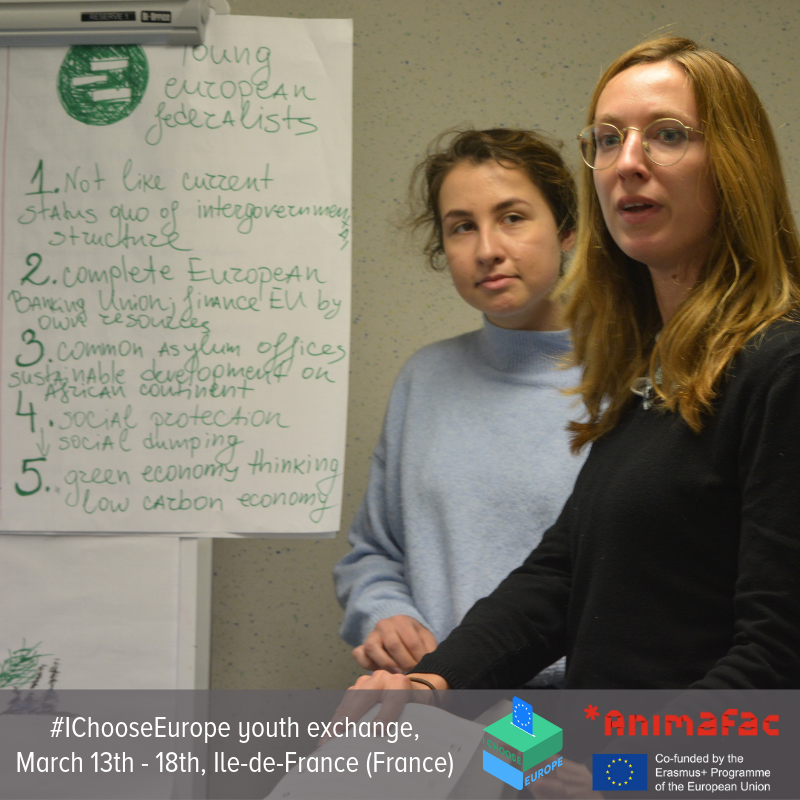 Not only did we learn from each other during the dozens of parallel workshops over the 5 days of the event. 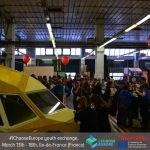 We also officially launched the #IChooseEurope campaign during Quartier Général – Le Festival des jeunes engagé·e·s en Europe! 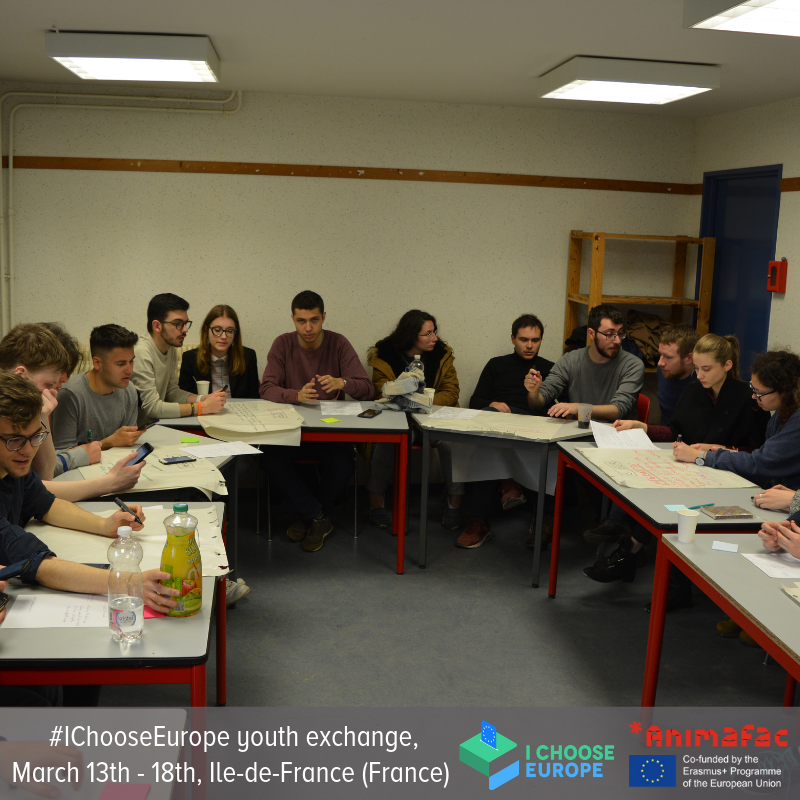 Thanks to all the partners of the project and our co-participants for making it happen! 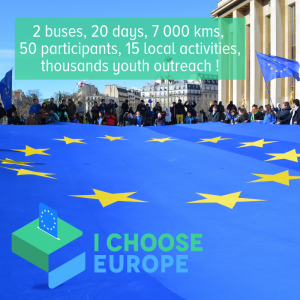 Another local campaign event takes place on April 30th, when the I Choose Europe bus tour has its final stop in Brussels. 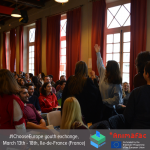 At 6.30 pm, we will open the doors and invite everyone to join us for welcome drinks, some quick and easy info on the elections in Belgium & a full and frank discussion with a selection of Belgian candidates to the European Parliament! 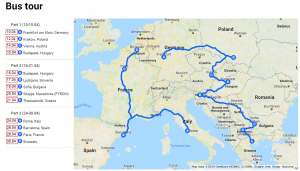 As part of the campaign activities, the “I Choose Europe” bus visits more than 12 locations in 12 countries. 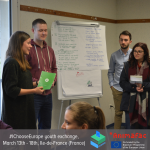 Its main goal is to connect the countries participating in the campaign and making a good case for maintaining and strengthening the freedom of movement in Europe in the context of the upcoming elections. 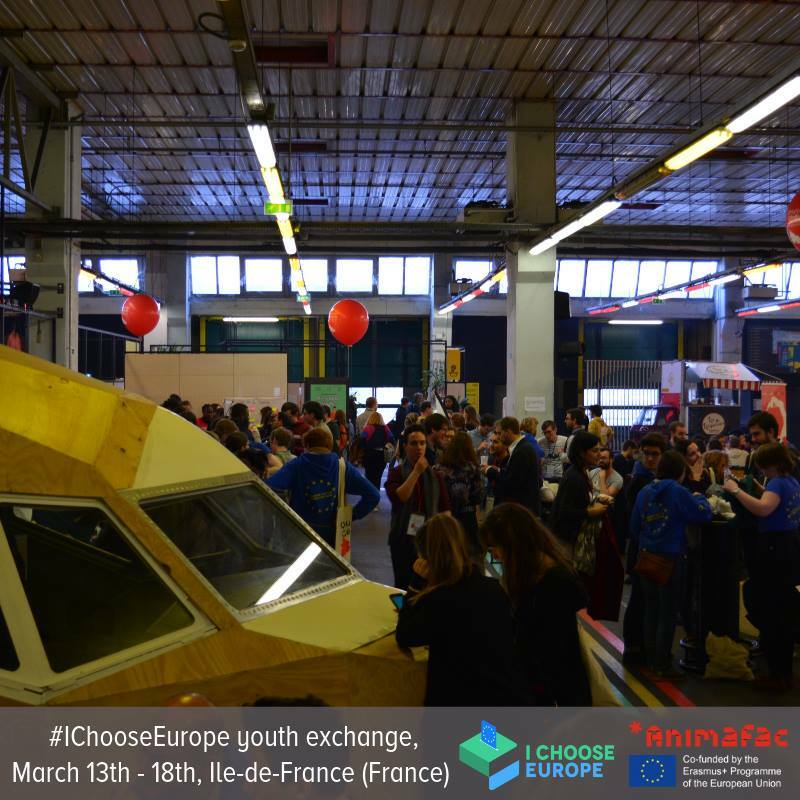 On April 30th, the bus will bring young people from different parts of Europe to Brussels. 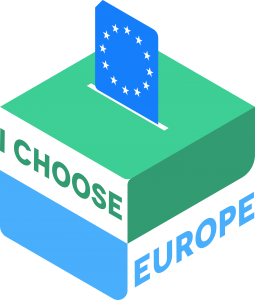 The cosmopolitan city of Brussels has been the capital of the European Union for over 20 years. 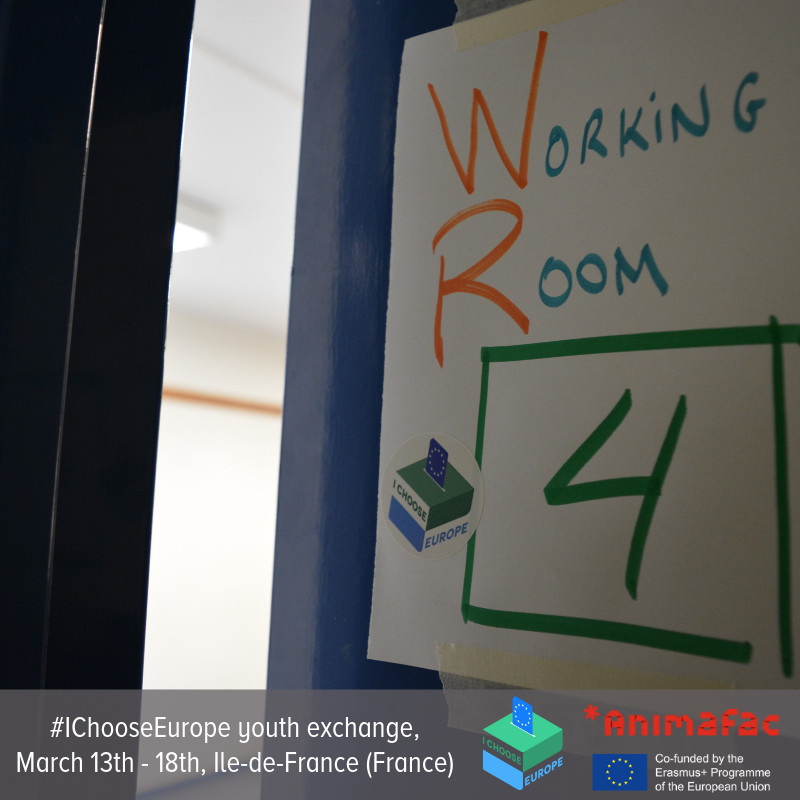 It has many institutions, all of which are important in our citizens’ lives. If you want to learn more about European actions in general and the upcoming elections to the European Parliament in particular, you will find us with in the “European Village” at the Brussels Park from 12:00 – 18:00h. 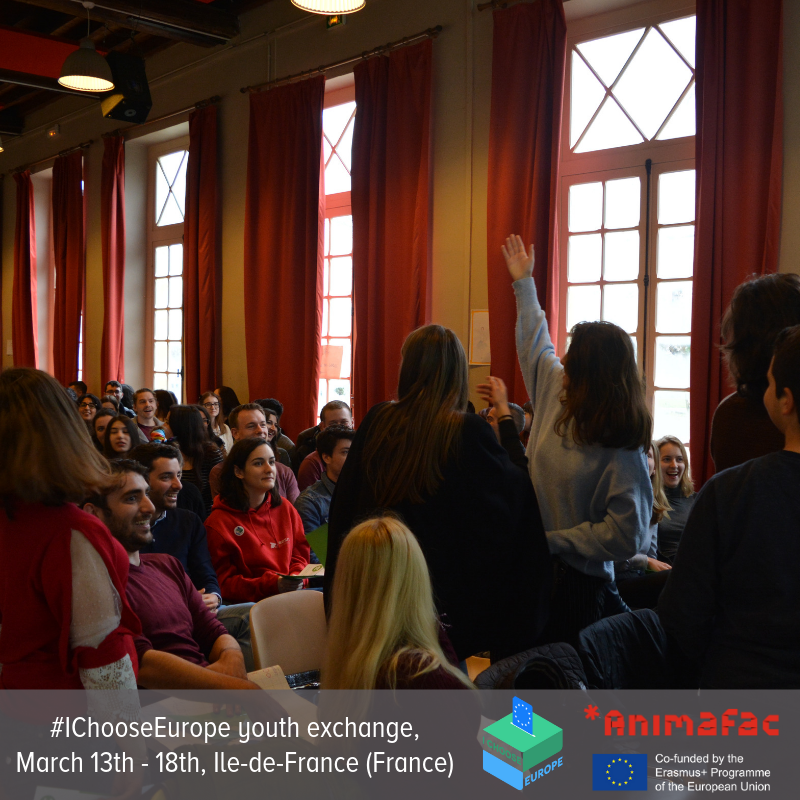 We will welcome you with a lot of fun activities, insightful information and open minds! 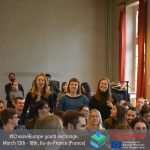 JEF Belgium will join the debate at the Brussels Parliament, organised by ULB and VUB, where we will moderate one of the debate tables and facilitate the discussion with first-time voters from Belgium about the following topics: migration, climate change, poverty reduction, desinformation & “fake news”.